I thought I would post this sooner than later, as this is something I’m presently working on. For those who might not be familiar, the Psion II was an early form of pocket organiser produced and sold by the British firm Psion. During its lifespan the organiser went through several versions. Beginning with the CM, a very basic unit with just 8kb of memory and ending with the top end LZ64, which has a 20 column 4 row display as well as whopping 64kb ram. As part of an ongoing series of pocket computer reviews I’m writing, I have covered several models of the Psion II. Sadly the LZ64 suffers from a persistent and quite irritating whistle, which I believe comes from aging capacitor. Today I removed all but two of the nine electrolytic caps inside my LZ in a bid to rid my unit of the blasted whistling. Here you will find some info on the capacitors I removed and their location on the PCB. If you own an LZ or LZ64, this information should be useful. As always the same rules apply, you repair your own gear at your own risk. If you set your shirt sleeve on fire, pour hot coffee on the cat or fall out with the postman, you can’t blame me! I’m simply providing this information as is. Hopefully it will result in a silent LZ, except for the for the odd beep and click of course! After you’ve removed the screws and popped open your Organiser, you’ll find the motherboard screwed to the front half of the case. Laying the device face down, unscrew the top board which is held in place by a single screw (see fig1). The main logic board is still connected to the keyboard via a ribbon cable just behind the pins for the ROM slots. This cable is pretty stiff and will take some gentle persuasion so as to bend the logic board up enough to remove the screws holding the keyboard PCB to the front case. Once you have the boards removed turn them over so you can view the logical board the right way up. Remember to handle the two PCB’s with care, after all they are 30 years old and tend to be delicate. You should now see something similar to fig.2. Note the already exposed pins below the cluster of caps, this is because one of the 25v 10uF capacitors has already been removed from the board. Using an already warm soldering iron, I removed each cap, recording their values as I went along. For now I’m leaving the two large axial caps in situ, as I want to try the LX with radial caps replaced but the axial caps remaining. If the whistling persists this might indicate which caps are the culprit. Until the new caps arrive there isn’t much more I can do, so I shall leave you with this pretty diagram, which shows the values and orientation of each cap. Whether you owned one or lusted after them on the shelves at Tandy or Dixons, during the late 80s and throughout the 90s, the personal assistant (or PDA) reigned supreme to anyone after a portable computer but not wanting spend the hefty price tag of much larger, more powerful laptops. Covering the history of these devices would cover more than a fair few articles alone and is a little beyond the scope of what we are going to do today. Last year I was lent a Hewlett Packard 200LX by my friend Darren, who thought I might get a kick out of using this tiny DOS compatible palmtop. As it happens, he was right. Playing around with the 200LX has been interesting to say the least, even leading to the purchase of a Psion 3a for my own personal use. The HP boasts a chiclet keyboard similar to those found on calculators and industrial equipment and features many of the same functions found on modern keyboards today, such as functions keys and a numerical keypad for quick data entry. While using the HP, I have to admit I’ve held something of a love/hate relationship for the keyboard. In the beginning I struggled to type on it with any proficiency, often mashing the keys with my apparently podgy fingers. Only by the second week did things begin to change and suddenly I found myself typing with relative ease. I’d still occasionally catch the wrong key but overall I could turn out text at an acceptable pace. I wouldn’t say the 200LX is the best device for writing, blogging or any decent jaunt of typing for that matter. As a note taker it isn’t half bad, but to be honest there are better options available, but we’ll get in to that later. The QWERTY keypad takes up roughly a third of the physical width of the device with a numerical pad occupying the remainder. What you’re left with feels awkward and slightly squashed to use. I can’t help thinking this might have been avoided had the designers simply used a full size keyboard, assigning the number pad down the right side, accessible via an FN key, a feature that was not unheard of in the late 80s and which is still used by laptop manufacturers today. Setting aside my issues with the keyboard, the 200LX is actually a very capable portable PC or as it was known back then, IBM compatible. Written in gold above the screen is reads “Palmtop PC-2MB RAM”, that isn’t a gimmick or HP trying to use some fancy words to make the 200LX sound better than it is. The 200LX is as much a PC as any IBM XT, running DOS 5.0 on an 80186 compatible HP Hornet CPU. You can run a variety of DOS programs ranging from early DOS versions of Microsoft Word & Wordstar, extending even to a few old CGA games. Just don’t go expecting Wolfenstein or Doom, as I honestly struggled to get much more thank Zork to work for me. Sadly the display on the 200LX doesn’t lend itself well to fast moving graphics, ultimately suffering with motion sickness inducing screen blur. That being said, it doesn’t mean you can’t have some fun with the tiny computer, just so long as you work towards the machines strengths and not its weaknesses. It’s due to DOS support that the 200LX, as well as the 95LX and 100LX are still popular today. Should you happen to own industrial equipment such as a CNC machines that uses DOS specific software to input data. A HP Palmtop might offer a compact, inexpensive means of communicating with your machines without the need of a bulky desktop computer or laptop. In addition both the 100LX & 200LX are capable of reading from compact flash adapters through their PCMCIA ports, making it easy to transfer files to and from the device without need of the data cable. The 200LX also comes equipped with an IR port, offering the latest in 90s wireless data transfer. By today’s standards the baud rate is lacklustre and you’ll be hard pressed to find much to interface it with. There were some compact infra red printers manufactured back in the day, which I believe will link up to the 200LX. All of which does not include any software you can choose to load from compact flash. Aside from all the available DOS software you can run, there is also a library of HP specific titles to install. Once loaded in to the memory of the 200LX, there it will remain until such time as it is deleted or the device is reset. 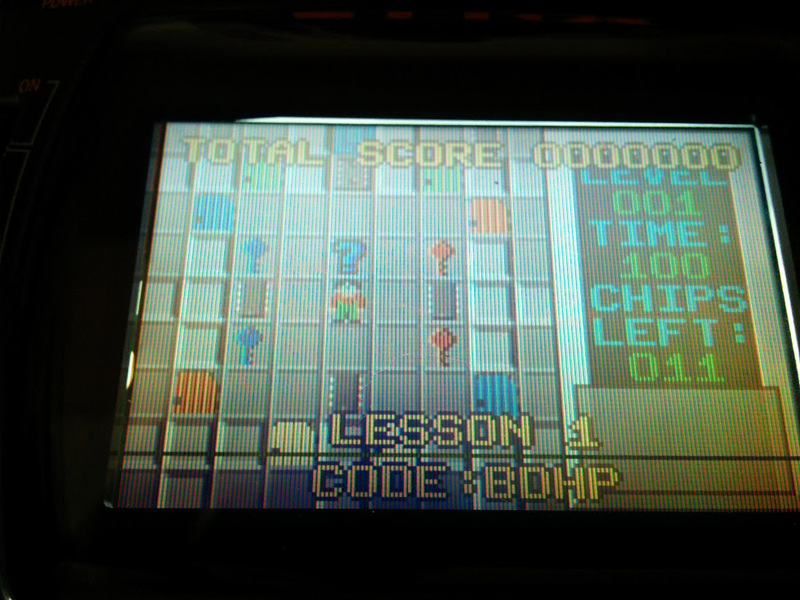 Access to a limitless DOS library obviously has its advantages, which makes the Palmtop such an appeal device. Taking all that in to account you could be forgiven for overlooking some of the devices other failings. Were you looking to buy one today, the 200LX still retains a relatively high asking price as a bit of collectable retro kit, valued anywhere between £50-£140. Personally I’d find it hard to justify paying more than £60 for one of these devices, as great as they are, there are better examples of pocket sized computing. In fact while I was writing this article I discovered they addressed my issues with the keyboard in a later model, doing pretty much what I had suggested. Other companies such as Atari, Amstrad, Psion, Sharp had devices which rivalled the HP Palmtop PC. While some were less compact than others, each took a stab at offering portable computer for users on the go. Only a few however offered you an IBM compatible computer that fit in your inside coat pocket, fewer still did it as well as HP had with the 95LX and later models. Stay tuned for the next part of the article, when I take a look at another pocket portable, the Psion Series 3. Not long ago I bought myself a NESpi and was telling a friend about it. She went on to ask me if there was a Sega equivalent, as her brother was an avid Sega fan growing up. Sadly I had to tell her there wasn’t but that added, that building such a console wouldn’t be that difficult, me and my big mouth. Thus I found myself with a new project on the drawing board, added to all the other projects I was tinkering with. When will I learn? Having built the NESpi and my Picade, I knew EmulationStation could easily accommodate my needs. Not only can it emulate the MegaDrive, but the Master System, GameGear and SegaCD as well. The only real question was what platform I would use for all the grunt work. A Pi3 seemed a little overkill, true it would handle anything thrown at it, but it also hiked up the cost of the build and I was trying to keep to a budget. I might have been able to pick up a second hand Pi2b, however they seem to sell close the what they cost new. I didn’t want to go down the clone route as support isn’t as good, so that left me with one option, the Pi Zero. I’d never tried using a Zero for playing games, messing about with electronics yes, but gaming just seemed a little to demanding for BCM2835 processor. However if you read up on the Zero, for such a tiny board, you realize its actually quite powerful. Clock at 1Ghz, the CPU is approximately 40 percent faster than the same chip inside the original RaspberryPi. Tests have shown the Zero operates roughly four times faster then the original Pi. While I was never going to see Pi2 performance, it would hopefully be enough to emulate the MegaDrive. It seems a little crazy that a 1ghz 32bit processor shouldn’t be capable pf running 30 year old software, but we have to keep in mind, that the Zero is being call upon to accurately emulate a whole console. Translating sound, display, input on the fly, into something close to the real thing. From the beginning my intention was to alter the MegaDrive very little, in fact I wanted to replicate the consoles original functions. Allowing the Power and Reset buttons to work pretty much in the same way they had before. I was able to make this possible using Pimoroni’s on/off shim, this tiny board sits atop the Pi’s GPIO header and allows you to safely shutdown the computer with the touch of a button. It also comes with through holes, allowing you to solder your own button to the board. The shim is pretty versatile, you can either use the included header block or solder the shim directly to the GPIO header, thus freeing up the GPIO pins if say you wanted to use another HAT, like a PHAT DAC. Once installed, for the shim to function you must plug power in to it directly and not in to Raspberry Pi. That way power is being fed through the shim in to the Pi via the GPIO header, putting the shim in control of feeding power to the Pi. The added bonus to all of this, is that your bypassing the Pi’s annoying poly fuses. With the power sorted out, the next step was the Reset button. The Zero, like other Pi’s comes with a pair of through holes labeled ‘RUN’. If you short them, the Pi’s CPU will halt what it’s doing and reset the system. Ordinarily this isn’t something I would recommend doing regularly, as you run the risk of corrupting your SD card. However, if your running a Pi and for what ever reason it locks up. If your only input devices are two joypads, a reset button might just be what you need to get back on track. This was first time I’d ever wired up a reset button on the Pi and later was thankful I had, as on one or two occasions EmulationStation locked up because I’d done something stupid. Out of the box, the Zero comes with only a single micro USB port, which isn’t much good if you want a two player game of GoldenAxe. To work around this problem, I used a compact USB hub, specifically suited for the Zero as it came with molded micro USB connector and not a full size USB plug. I then used a set of cables to extend two USB ports to the front of the console, where the joystick ports had once been. I also made a custom power lead, one end going to the rear of the console as a dedicated power socket and the other going in to the on/off shim. Always use thick gauge wire when extending the Pi’s power socket as it only take a little voltage drop for the dreaded ‘undervolts’ icon to appear in the top right hand corner of your screen. For the rear panel of the MegaPi, I designed a custom I/O panel to replace the Megadrives existing RF and Power Jack with micro USB and HDMI. After cutting out the existing panel, I hot glued the laser cut acrylic panel in place, along with the cables coming from the Zero. I applied a copious amount of glue to both sockets, especially the HDMI port as I found it a little tight when I was hooking up my TV. I’ve already mentioned how I was able to get functional Power and Reset, but getting both to work with the cases existing buttons was a challenge unto itself. First I began with two tall 6mm tall micro switches, which I soldered to strip board and later trimmed to fit the area under both red buttons on the case. It took a little trial and error, trimming the height of both micro switched until they worked properly with the buttons. When I had both working to my satisfaction, I used my trusty glue gun to affix them to the underside of the top lid. Glue guns are by far, the makers best friend! With the both switches in situ, all that was left to do was connect them up to the pi itself. A quick test, proved both worked as desired and so the next task was setting up the software. Without a doubt, building the Megapi would have been a very different story if it were not for EmulationStation. Setup and configuration of this software has been made very simple, allowing even the most inexperienced to follow it. Configuring the Sega style USB controllers I’d bought was a little fiddly but trial and error eventually prevailed and I had both working as desired. I was even able to setup a custom loading screen and Sega themed booting screen. The first time I came to try out a game, I was really surprised by the performance. The Zero handled most games I threw at it, struggling only once or twice, I doubt very much it could handle any of the 32x or SegaCD titles. 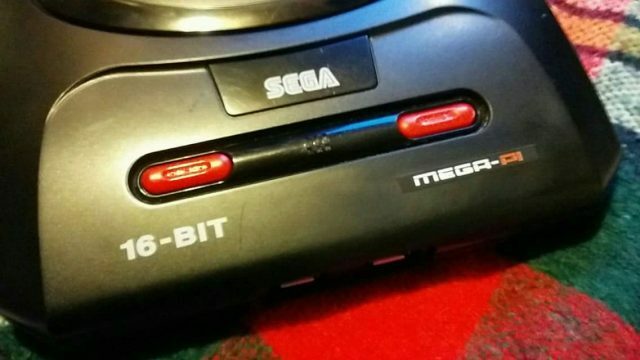 But as a bog standard Megadrive it copes pretty well, better then a £5 computer really ought to. But it just goes to show what good value the Zero is and what it possible with such a cheap, tiny computer. I’m really glad the foundation developed the Zero, with the increasing speed of the larger Pi3b and now 3b+, it stands as an affordable foot in the door. Had the Zero not be around, I probably would have tried to buy a cheap second hand Pi2. For the simple fact that the Pi3 was too expensive and powerful for my needs. That being said, I’m not even certain the larger Pi form factor would fit inside the MegaDrive II case. This was a fun project and not one I would have made had it not been for my friend asking. Truth be told, once built, I grew really attached to it and was sad when it came time to hand it over for my friend to give her brother. From what I gather though, he really loved his birthday present. Hopefully he’s reliving his childhood, maybe even having a mate over for a few beers a game of sensible soccer or Sonic and Tails. Card corruption isn’t anything new on the RPi, if your a Raspberry Pi owner it is a fair bet that you shall encounter it eventually. Over the years ever since owning my first Pi, I had to deal with the occasional segmentation fault. But I’d never encounter a full blown SD card failure until the other day, when quite unexpectedly the PiDP8/i decided to have a system melt down. The first signs indicating something wasn’t quite right, was when I discovered my fail2ban jail log was corrupt, full of complete gobbledygook. After a reboot of the server, I discovered everything was back to normal or so it had seemed. The next indication problems lay ahead was when I noticed files I’d previously deleted had reappeared on the SD card. Now if there’s one thing Linux is good at letting the user do, it’s delete precious files without much chance of recovery. I once deleted an entire partition of my hard drive by mistake and yes, spent what was left of the night reinstalling Xebuntu. Linux is a powerful OS in the right hands but for the experienced it can be a steep learning curve of mistakes and mishaps. After spending a full day working on my SD card, I discovered sure enough that the internal 8GB card had died a death. I read from the drive, but could neither format or re-partition it. So what now? Well my next step is going to be getting my hands on a new SD Card, but I’m not so certain I feel comfortable using it as the primary storage on my PiDP8/i server. Everything I’ve read online indicates using SD cards for prolonged periods is not a great idea, mainly due to the limitations of the technology which doesn’t lend it self to constant read / writes. It’s worth remembering that ever since the first compact flash drive, memory cards were originally intended for cameras and PDA devices, neither of which really hammer the SD card unlike Linux. SD cards have a finite number of read / writes, from the time you plug it in, your memory card is degrading. On a short time project this isn’t a problem and there is evidence to suggest capacity does play a part, with larger cards such as 32, 64 and 128gb lasting longer then 8gb ones. Still if I want my server to be online 24/7, I’m better off finding a more reliable and permanent solution. A hard drive is one I guess, but a little bit overkill for the tiny PiDP8/i. Which is why I’ve spent the past few days looking up ways to boot the Pi2 model b motherboard from a USB flash drive. Research suggests boot time will be faster and reliability significantly better then using SD. So in my next article I’m going to cover the process of setting up a RPi2 model B with the OS installed on USB pen. If your a Pi3 owner you have two choices, you can follow what I’m doing and it should work just fine. But unlike earlier models, the Pi3 can boot directly from USB by altering the OPT within firmware. Once enabled the Pi will search SD and USB until it finds a bootable partition. Greetings to all you t’interweb surfers, its that time of year again and here at ByteMyVdu we like sharing the festive spirit. I say we, but really it’s me, muggins sitting at the keyboard doing everything, using the royal ‘we’ just sounds better! Over the past 12 months I’ve built a PiDP8i, a RetroFlag NESPi, Modded a 60s radio and played about with a Sinclair QL. I’ve also built another Amiga 600Pi, refined the designed and improved on what I did the first time around and after all of that, I’ve yet to upload it to my site. Legal fluff – These templates are offered as is and are strictly intended as freeware, for none profit purposes. Aint Afraid of No Ghost! And of course so 8bit to get you in the mood! The Atari Lynx arrived on our shelves 27 years ago in the winter of 1989, only two months after Nintendo released the Gameboy and a year before the Sega’s colour handheld the GameGear saw light of day. Featuring the first backlit colour screen on any portable gaming device, the Lynx boasted accelerated 3D graphics. Todds Adventures in SlimeWorld and California Games. However like most systems from this time its not without problems, the most predominant of which is screen failure. Usually this appears first as one or two lines running vertically or horizontally across the screen, more follow until the display is unusable. The root cause of this is the ageing ribbon cable that links the logic board to screen, over time becoming fragile and brittle. As it is an integrated part of the LCD display the only way in which you can cure the fault, is by swapping to screen for a new one. Which wasn’t a problem back when the Lynx was new, but in 2017 you might be faced with a problem, that is until now. Stock screen looking less then great. 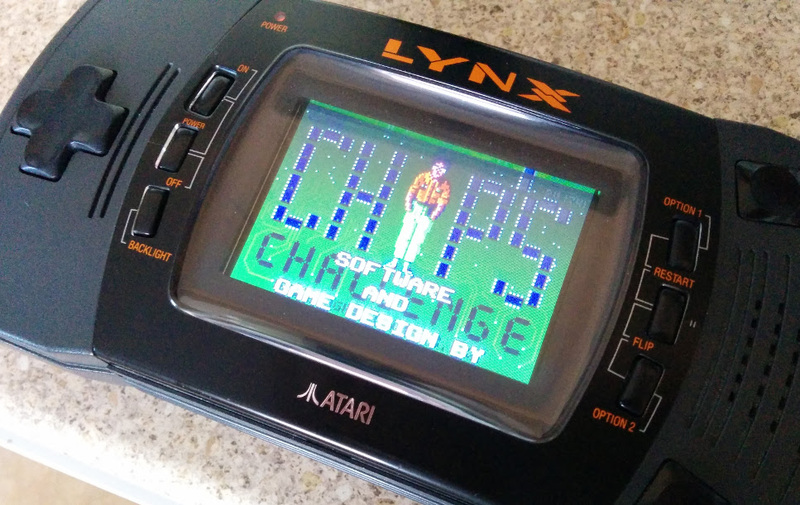 On AtariAge back in 2015 a user by the name of McWill came up with an interesting solution to solve the problem that had been plaguing so many Lynx owners. 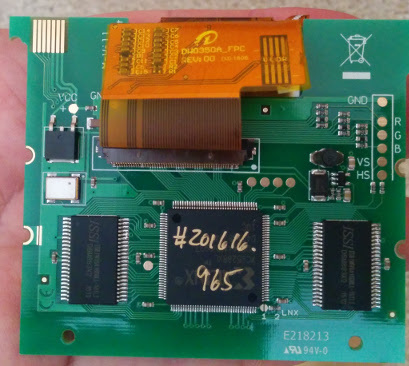 By developing his own custom display board he was able to replace the old failing screen with a modern LCD which not only offered superior picture quality but an optional VGA out. Unsurprisingly the board was an absolute success with Lynx owners far and wide, who finally had the means to repair their ailing consoles. Last year I was lucky enough to buy one of McWills kits, the board requires some self-assembly and a reasonable understanding of how to solder is needed. McWill does offer and installation service for those who don’t feel confident installing the kit by themselves. I was completely blown away with the image quality, which is ten times better then the original 90s LCD. The picture is sharp and the back light more linear, the full screen is now illuminated and gone is the incandescent tube glow of the original florescent light. The new screen uses modern EL technology which has come on leaps and bounds from when the Lynx was originally released. Ghosting and trailing has been significantly reduced, if not illuminated compared to the original 90s screen. If like me you’re accustomed to viewing your games on the old screen, seeing them for the first time on the new one can be a pleasant if not slightly shocking experience. I was honestly left wondering how the heck I’d managed for so many years without McWills screen mod. McWills screen, there’s no denying the difference. Priced at around 100 Euros the kit isn’t cheap however if you figure in the fact you’re getting a custom printed PCB and LCD its actually not bad value for money. The PCB is well made and laid out easy enough for even the budding amateur to follow. However the single sheet manual could have been written a little better as I stumbled to following it wiring to the TPR solder point. The wiring for this can depend on your model of console and what I didn’t know at the time was that I needed to close a jumper on the custom PCB. Labelled in small print as JMP1 in the printed manual its easy to miss and nowhere else is it referred to by this name. For instance here is an excerpt from the instructions. Well laid out, McWills screen mod is relatively easy to install. The instructions feature several diagrams with all the solder points labelled with names such as GRD, TPR, RES, CL2. I’m not entirely sure why the solder point is referred to as ‘Jumper’ and not JMP1, but it definitely threw me and I was left poking around the board until I consulted AtariAge. There I thankfully discovered I wasn’t alone and others were also being thrown by the same issue. This isn’t to say the manual is bad because it isn’t, only that it could probably benefit from a slight bit of revision to prevent others from getting stuck. Fortunately Marco aka McWill is a very helpful and friendly chap and after shooting him an email I was back on track. Assembly will probably take you a couple of hours and I certainly advise taking your time and not trying to rush it. Some of the soldering can be fiddly, especially when it comes to attaching wires to the display pins on logic board. Using a fine tipped soldering iron is highly advisable. For wiring I used a good old trusty IDE cable, fine enough to fit on the small traces and flexible enough that i can manipulate the screen and board without working loose a connection. 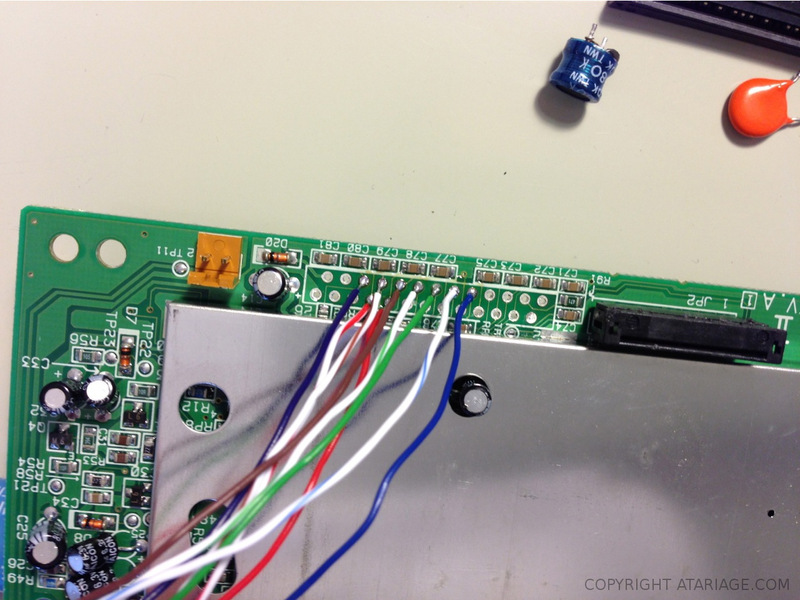 You will need to remove seven components from the main logical board before you can begin hooking in the new screen. You may also have carry out a 5 Volt check after removing the require components, so as to make sure the board isn’t exceeding 5.45 volt. According the instruction the screen mod also has the ability to emulate the scan line effect of the original Lynx display, however I’ve been unable to get this to function. Not that I think I would really use it as the crisp look of the new display is pleasing enough and the games simply look amazing. If your Lynx is looking a little tired and you fancy giving it a face lift, I highly recommend getting one of McWill’s kits. While admittedly pricey, it will likely out live the life of the Lynx itself and beats replacing one old screen for another. As it’s only a matter of time before the ribbon cable degrades and your left looking for yet a replacement from a donor system. Until next time, keep on geeking!